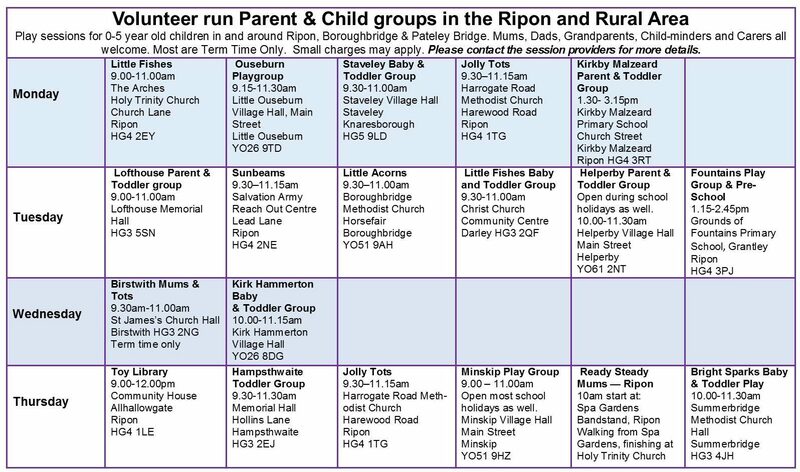 Ripon, Nidderdale and the surrounding areas are a fantastic place for bringing up children and there is plenty going on for children. Basic listings are free. ’Featured’ listings are £10 per month. For our full advertising rates then please click here. 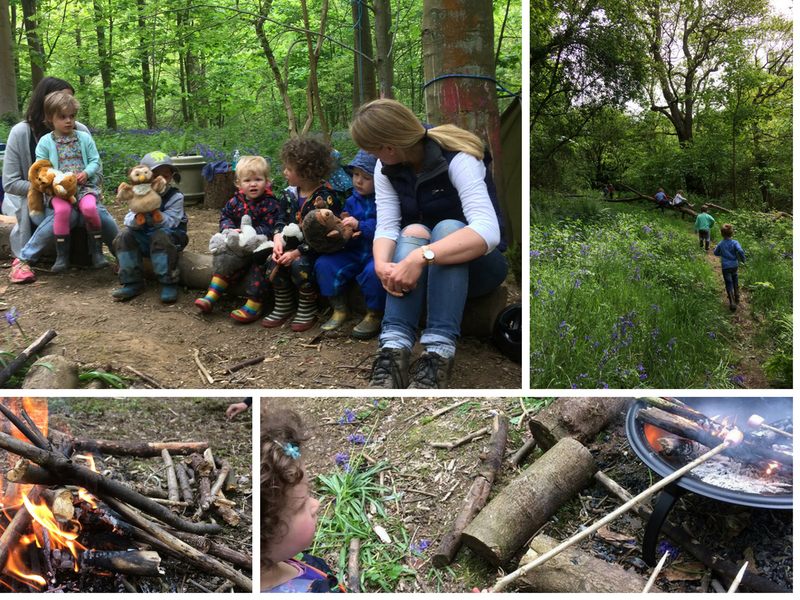 Our toddler group is ideally suited to those tots who are walking, to pre-school children plus their parents/guardians who want to get outdoors, play in a natural environment, natter and eat yummy cake….come rain or shine! 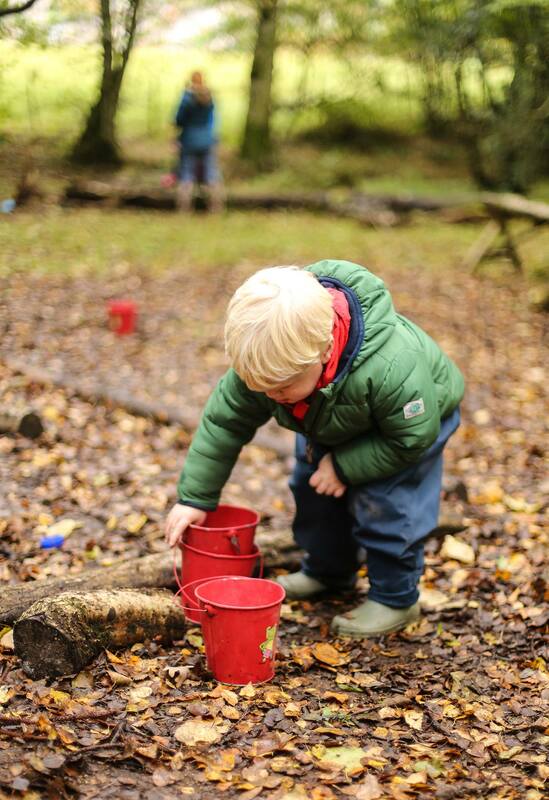 Sessions follow a Forest School ethos which involves child led learning in a woodland environment. Sessions may involve muddy play, craft, imaginative play, quiet time (including story books), exploring the local flora and fauna, balancing, climbing and swinging. 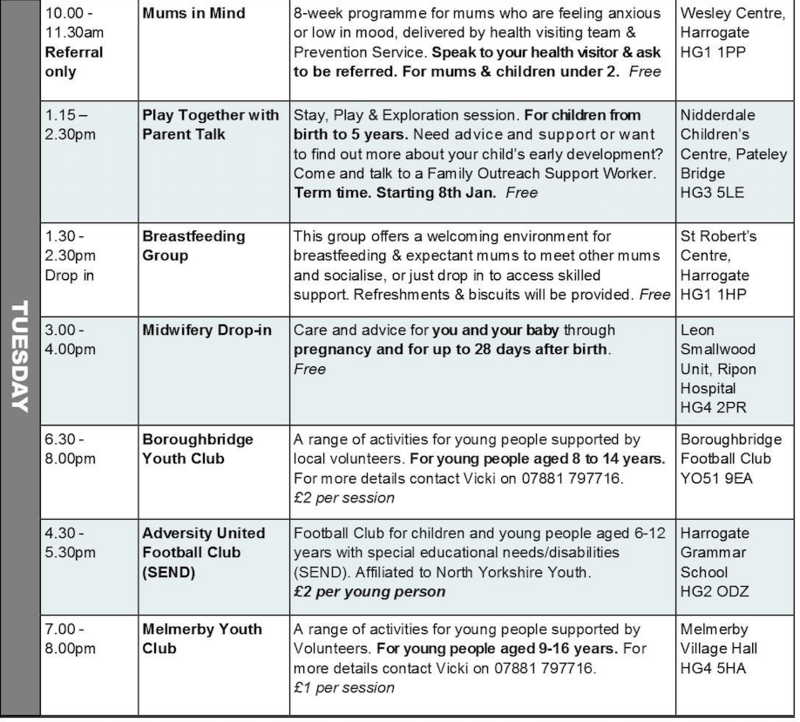 We also offer one structured activity each week. Prices and booking: Each block of sessions equates to £6 per session and a block is either 6 or 7 weeks long depending on term length. Siblings over 1 years old are £4 per session. 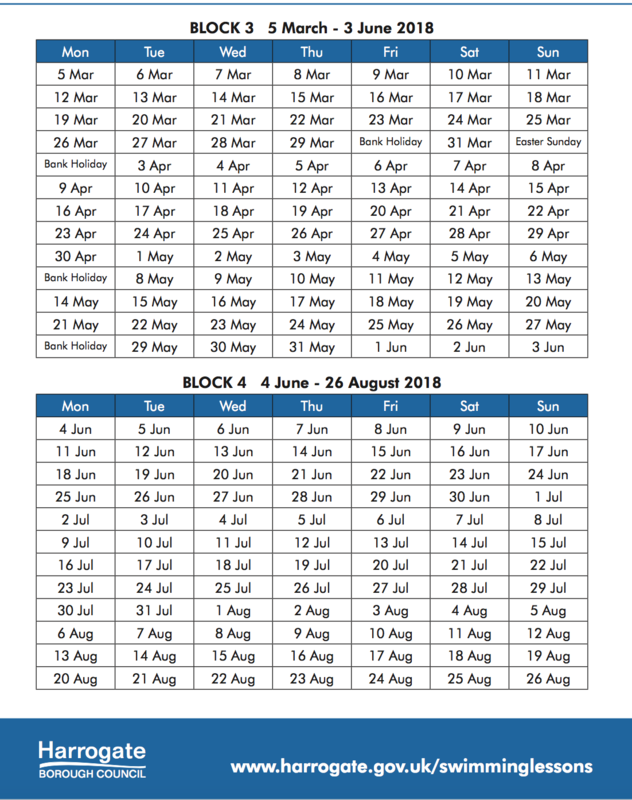 Sessions can only be booked as a block. Price includes tea/coffee/juice and cake! Free trial session available. Three times a week, we host a FREE breakfast club in the Arches at Holy Trinity Church Ripon. It’s a fantastic, sociable and nutritious start to the day – and you can come as often as you like. 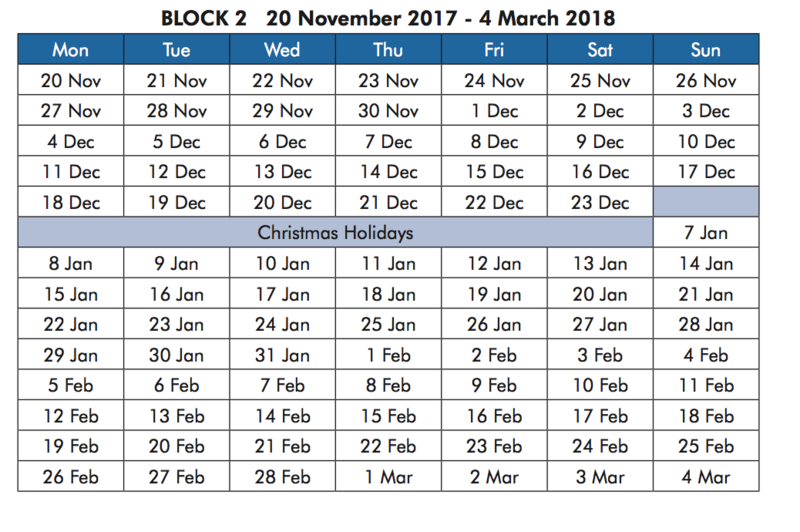 From 08:20 to 08:50 on Tuesdays, Wednesdays and Thursdays, in term-times. A hot special each day – rotating between baked beans, scrambled eggs, sausages and porridge. It’s easier to get to school on time – we ring a bell 5 minutes before it’s time to head for the Holy Trinity schools. families from other schools, if they feel they might benefit.Please note that children may not attend without an adult/s, and adults may not attend without a child/ren. As a church, we want to love our community and build on the connections we have with the two Holy Trinity schools. We want people to feel comfortable coming into our building, and to be a welcoming space for them. 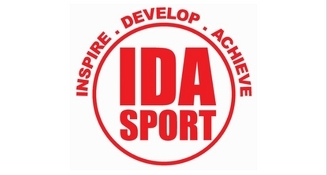 IDA Sport is a coaching company offering professional coaching in a fun, enjoyable and challenging environment. 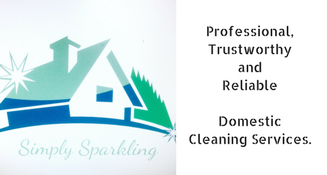 We are based in North Yorkshire, working in the Ripon/Kirkby Malzeard area. 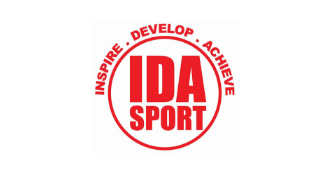 We focus primarily on football coaching, however we have experience delivering a wide variety of sports. IDA Sport is led by Daniel Woolston, who is currently an academy coach at Middlesbrough FC. He also has experience working for Sunderland AFC and Darlington FC. Daniel holds his UEFA B Licence and Youth Modules 1,2 & 3. He is also currently undertaking the FA Advanced Youth Coaching Award. Daniel coaches for Middlesbrough FC Academy working with the Under 9’s age group. All toddler football sessions are maximum 6 children per class, to ensure high quality coach/child time. Your child’s place must be booked in advance. Other sessions are limited to 10 per class. 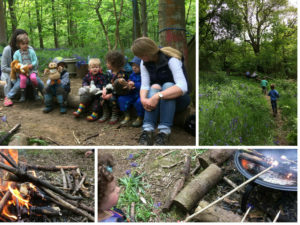 Join in the Autumn woodland fun – build fairy and elf dens, play in the stream, build dams, swing on the branches, balance, climb and build confidence and self-esteem. A unique class in ancient woodland setting. 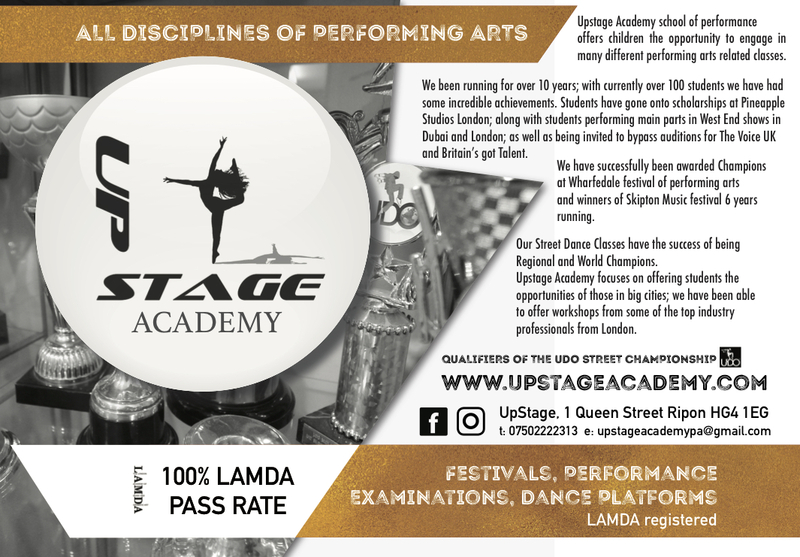 Classes run Monday – Saturday for more information follow Upstage Academy on Facebook. 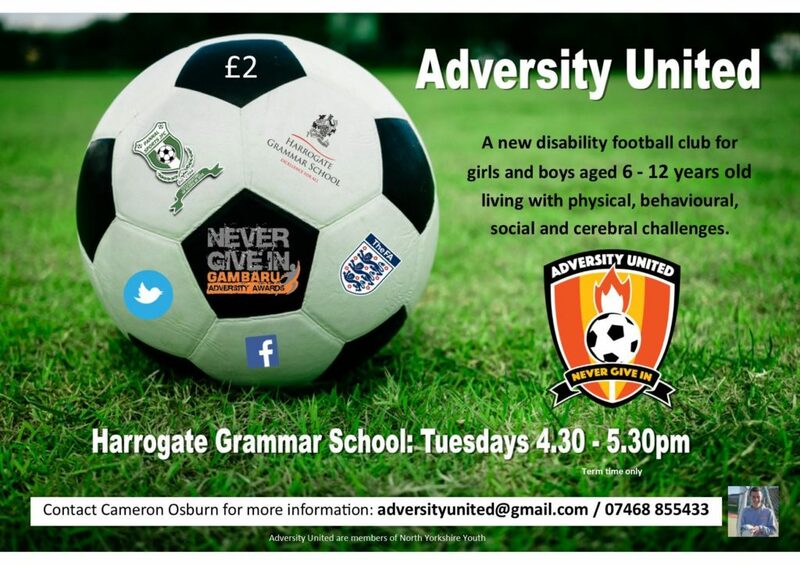 Football club for boys and girls aged 6 — 12 year olds with a Special Educational Need or Disability. Harrogate Grammar School, Arthurs Ave, Harrogate HG2 0DZ. Open Tuesday to Sunday offering daytime and evening lessons. £5 per child, free adult with each full paying child. Half price siblings. £2.50 for additional adults. Offers the chance to hire slings to try out with your baby. Drop-in sessions at a range of locations and a consultancy service offered. Children’s yoga classes designed for parents and kids to experience together with the YogaBugs method. Classes include warm up stretches, relaxing breathing techniques, fun poses and strengthening postures. finishing with a short meditation and relaxation. 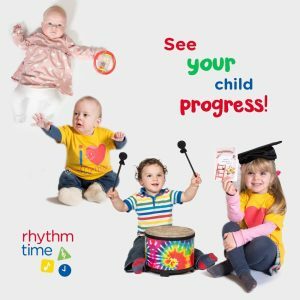 New baby and Toddler group starting in September 2017. All welcome. Also… This group is starting from scratch so if anyone has any baby/toddler toys they would like to donate they would be gratefully received. Contact Vicki Walsh (contact above) to arrange collection. Small friendly group of mums, dad’s, grandparents and childminders who meet to have a coffee and chat while the toddlers have a play. ASA qualified swimming teachers. Lesson packages available. For more information, or to book, contact your local pool. 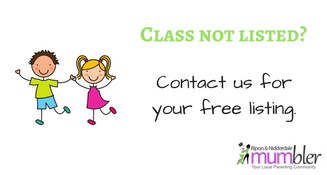 Classes for all ages run in Catterick Leisure Centre and Colburn Leisure Centre. Satellite locations include Thirsk Leisure Centre and Bedale High School. Selection of classes ranging from Jazz or Tap to Ballet and more. 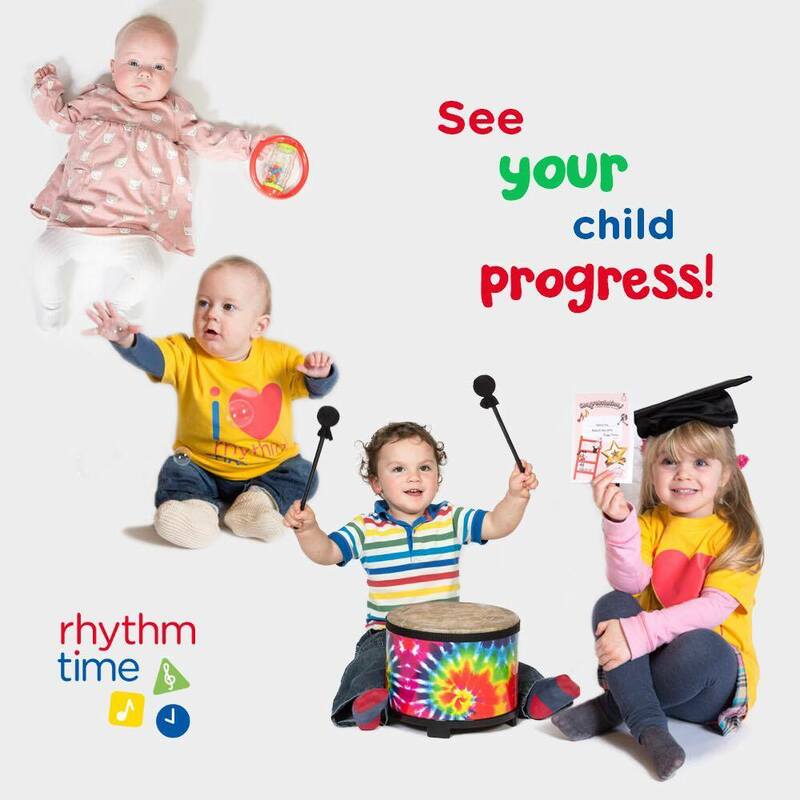 Classes for toddlers and parents also available. Private tutoring available. For boys and girls from school year 5 (aged 9/10) to year 11 (aged 15/16) who already enjoy running and want to develop and compete in local and regional races. Raindrops and Raintots – These lessons are for children aged 6 months to 3 years. The parent/carer is in the water providing one-to-one support. Lessons include structured play, songs and an introduction to basic swimming. Each colour band in the rainbow, red through to gold, represents a level of swimming, combining stroke technique, water safety, water skills and stamina. 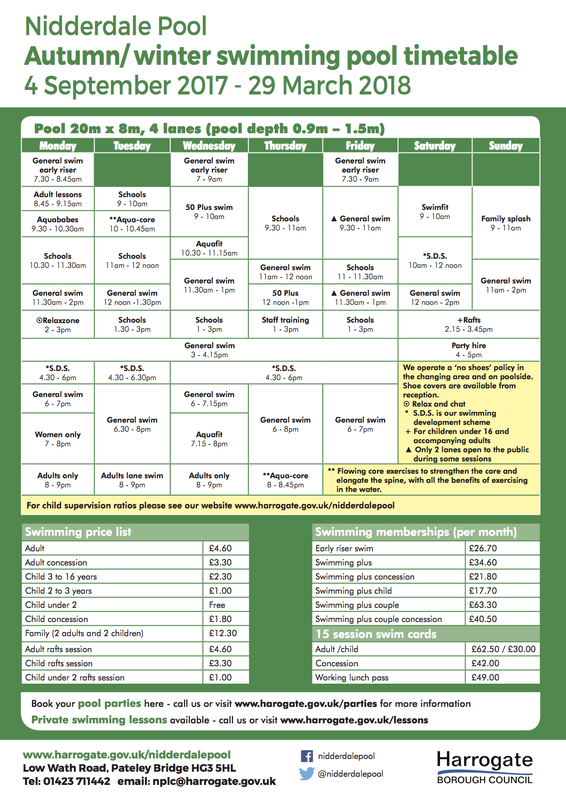 Swimming lessons take place at Ripon Grammar school on a Monday, Tuesday, Wednesday and Thursday evening (5:00-6:30) and a Sunday 9-12. 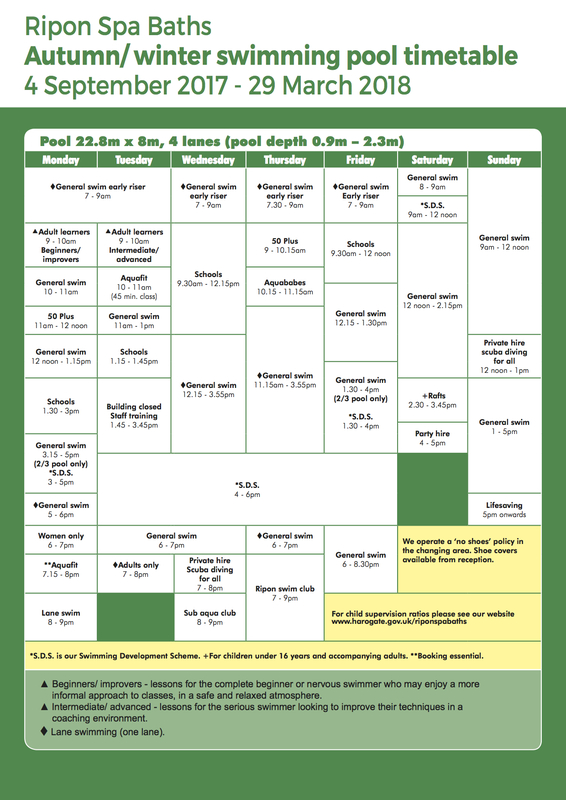 4 swimmers per teacher is the maximum in each 30 minute lesson. Swim Perfect is approved by Swim England. Follows the Swim England Learn to swim programme. Classes run Tuesday & Friday mornings during term time. Harewell Woods Farm, Pateley Bridge. Classes ranging from acting, musical theatre and break dancing to much more.